The motivation behind Small Steps in Speech is to remember Staff Sgt. Marc J. Small. Marc was a Special Forces Operational Detachment-Alpha team medical sergeant assigned to Company A, 1st Battalion, 3rd Special Forces Group (Airborne) in the United States Army. On February 12, 2009 Marc was was killed while serving his country in Afghanistan. 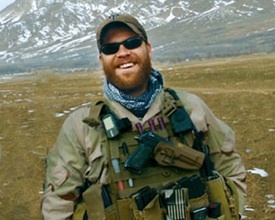 Marc deployed in support of Operation Enduring Freedom in January 2009 as a member of the Combined Joint Special Operations Task Force-Afghanistan. This was his first deployment in support of the Global War on Terror. Marc was a native of Collegeville, PA and volunteered for military service after being impacted by the tragedy of 9/11. He entered the army in December 2004 as a Special Forces Trainee and worked his way to earning the coveted “Green Beret” in 2007. His awards and decorations include the Purple Heart Medal, Army Commendation Medal, Army Achievement Medal, Good Conduct Medal, National Defense Service Medal, Afghanistan Campaign Medal, Global War of Terrorism Service Medal, Noncommissioned Officer Professional Development Ribbon, Army Service Ribbon, NATO medal, Overseas Service, Parachutist Badge, Combat Infantry Badge, and Special Forces Tab. 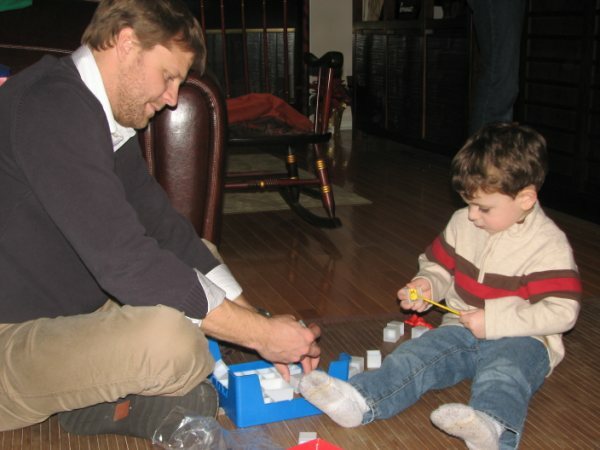 During his time in Afghanistan, Marc treated up to 50 patients a day, many of which were children. Marc’s love of children is why this non-profit organization seems like the perfect way to remember his sacrifice. 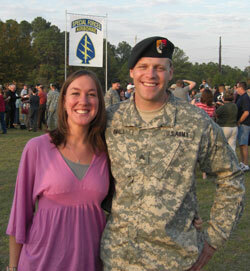 Marc planned on marrying Amanda Charney (founder of Small Steps in Speech) when he returned from Afghanistan. Amanda is a school based speech and language pathologist specializing in early childhood development and developmental disorders within the realm of speech and language. Marc had dreams of Amanda opening her own private practice and came up with the name, “Small Steps in Speech” to symbolize her soon to be last name along with the small steps children must take to build their communication skills. When the heart breaking news came of Marc’s passing, starting this non-profit foundation seemed like a good way to start keeping Marc Small’s memory alive and keep him close to her heart.